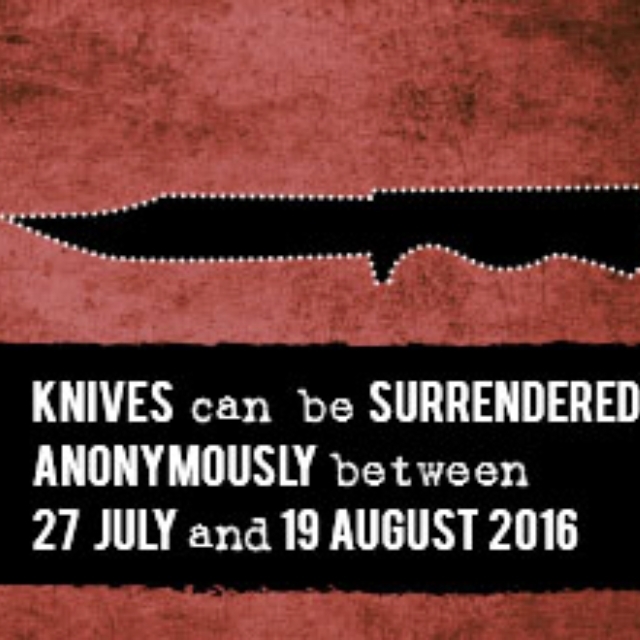 Home » Community Safety » #Police warn people of the risks they face if they choose to carry a #knife. #Police warn people of the risks they face if they choose to carry a #knife. The warning comes as the force supports the national ‘save a life, surrender your knife’ campaign which aims to reduce knife crime and the damage caused to families and the wider community. Chief Inspector Mark Colquhoun said: “If people choose to carry a knife the risk of hurting or killing someone is well known. What is less well know are the risks to the individual carrying the knife. “If you are caught carrying a knife you risk arrest, prosecution, a criminal record, up to four years in jail, ruined job prospects, not being able to go to university, not being able to travel to America; the list goes on. 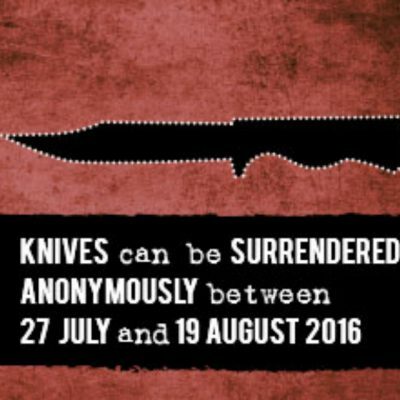 A knife surrender campaign will run in Warwickshire and the West Mercia policing area until 19 August and will give anyone with a knife the opportunity to surrender it anonymously at one of a number of secure knife bins located at police stations around the region. People surrendering knives will not be required to leave any information but if police suspect a weapon may have been involved in a crime they will examine it for evidence. The campaign is being run in partnership with the British Ironwork Centre in Shropshire. All the blades collected as part of the campaign will be made safe and used to help create a 20-foot high guardian angel sculpture in memory of those who have lost their lives to knife crime.